Blue catfish are members of the bullhead catfish family. Increasing numbers of this invasive species are found in many of the local waterways. 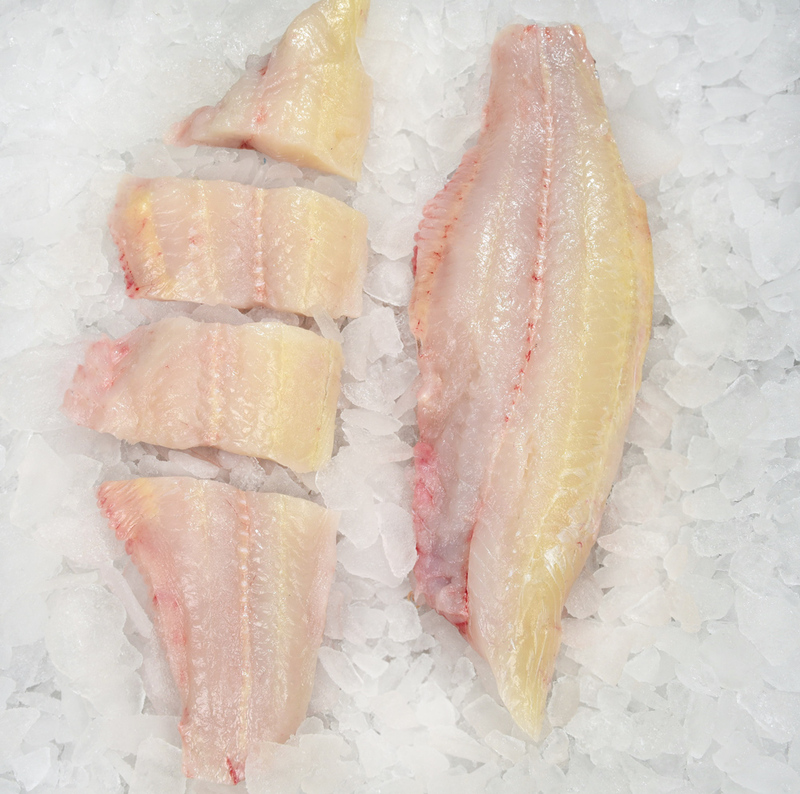 This firm flaky white fillet has a very clean flavor - and a low price. Blue catfish are native to North America, from Minnesota and Ohio southward into Mexico. Blue catfish were introduced to Virginia waters in the 1970s (or possibly earlier) and have been multiplying and spreading since. They are now considered an invasive species: "an alien species whose introduction does or is likely to cause economic or environmental harm or harm to human health". They are an opportunistic, predatory fish, meaning they will consume anything they can find. They compete with native species for food sources, potentially hindering the government funded recovery efforts for shad, river herring, eel and sturgeon, and cause reductions in fish populations that ospreys and eagles rely upon for food. Commercial fishermen are being encouraged to harvest blue catfish with hopes of curbing growth and reducing the population. Fillets vary in size due to the nature of the fish.